Hello, my pretties! We’re in for a rather interesting installment of Entrepreneurs in Singapore. I was strolling through downtown and exploring 313 when I came across a rather quirky looking pushcart booth. The entire thing was covered with an assortment of plants and glass and figurines. It had a very gypsy vibe to it. Curious as to what was going on, I went over and lo and behold. I was unable to take many photos because there was a ‘No Taking of Photos’ sign. Undeterred in nosing around for information, however, I poked around the back and found a young man clad in yellow eating his lunch. Brazenly poking him with my finger, I demanded an interview. Of which he shrugged and said okay. Hi! This is Kornelius from Five Stars and a Moon. 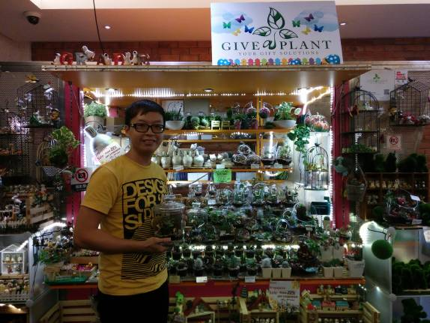 I’m here with one of the co-owners of ‘Give a Plant’. Hi! I’m Melvin. I’m 24 this year. 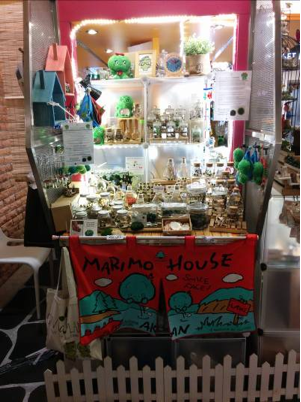 Our business is basically about indoor plants, frozen flowers (from Japan), marimo balls from Hokkaido, and garden accessories and miniatures. Give a Plant has been around for about 4 years. Hm… interesting! Are all of these terrariums? What about this? Is this an open-air terrarium? Technically, we call it a tabletop garden or a mini garden. Some plants are built for terrariums. Some plants are not. 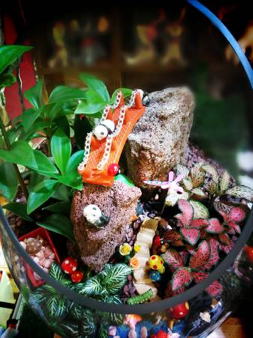 Species of plants like cacti and succulents are not suitable for terrariums due to the high humidity in a terrarium. So, we do it in an open-air concept. Tabletop gardens are very low-maintenance as well. You just have to water it once a week (or even less, if your area is humid). For sunlight, you can just place it right next to a window or next to you in a brightly lit room. Apart from all of these plants in front of us, do you have any other products? Yeah! We actually do sell marimos. They are a plant from Hokkaido and some parts of Europe. For those into culture, these little green moss balls represent luck, lasting love and friendship. They are considered one of the national treasures of Japan. They are long-lived plants and can last and grow for hundreds of years, and grow to a huge size. For those into aquariums, marimos are perfect for shrimps as well. The reason why they form into balls is due to the currents of the Lake Ikan. We also sell frozen flowers shipped directly from Japan. These are real flowers that have been frozen and preserved by being exposed directly to nitrogen. Their petals respond by opening and closing according to humidity and they can last 10 – 15 years with absolutely no maintenance. Well, okay! This is a pretty unusual shop. I mean, I normally see plants sold in pots. Why all the plants in glass bottles? I think glass is a whole lot more aesthetically pleasing compared to plastic. It also allows the main component needed – light – to reach the plants contained inside. Terrariums have actually existed for a long time. I believe the oldest terrarium recorded in existence is over 40 years old. It’s just that they recently came back into fashion within the recent years. 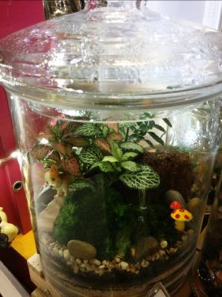 A terrarium is self-sustaining because plants recycle the air (through photosynthesis and respiration), nutrients (decomposition of dead leaves and roots) and water (respiration and condensation). Because of this, terrariums are a lot lower in maintenance compared to your generic plants in pots. Watering requirements range from once every two weeks to once every six months. It is also because of how low maintenance they are that terrariums are perfect for homes and offices, frequent travelers or simply for anyone who wants a plant but doesn’t really have the time or commitment for one. Wow! It sounds like you know quite a fair bit about plants. Did you take up a course in gardening or horticulture? No. It actually started out as a passing interest in plants. I caught wind of this thing called terrariums. I then joined my friend in his business and he showed me the ropes. Over time, I worked on my terrarium-making skills. I figure most people would hate to do anything else related to their job during their free time. It seems like gardening is more a passion than anything else. After spending so many years in this business, do you still do gardening of your own? Yes, I actually do my own gardening at home. However, I live in a HDB apartment. Due to space constraints and a lack of sunlight in my corridor, I am limited in my choices of what I can actually grow. I like orchids in particular so I have quite a lot of those at home. What’s your opinion on Singapore’s gardening scene? I feel that it is very vibrant even though it is not well-known. Plant enthusiasts are very active in whatever form of gardening they take part in and organizations like NParks are nurturing this interest through events like the quarterly bazaar at Hortpark. Apart from that, there’re gardening communities, forums and groups like Green Culture Singapore. Apart from that, I believe the government is doing a fair bit in contributing like Gardens by the Bay. What do you think is the greatest challenge in being a gardener in Singapore? I guess the main concern in being a gardener in Singapore is the land area and space issues unless you actually live on landed property. This is why it’s a great idea to get terrariums if you want to have a garden due to their compact size. Hm… okay! You seem like a pretty interesting guy. Any hobbies apart from gardening? I love baking, reading window-shopping and café hopping. What are the main challenges of the biz? The main challenge would be the issue of handling competitors and keeping up with things. The trend of terrariums has caught on so, lately, there’s been a lot of competitors springing up in the market. Quite a number of these competitors use unethical means to fight against the competition and that breeds distrust towards the industry as a whole. Another challenge is that we need to constantly improve ourselves and think of new and innovative designs – combining functionality with design. On a more personal side, handling booths like these is not considered the most ideal of Singapore jobs. I mean, most people would want a high-flyer job like a doctor or lawyer. Did you receive any opposition from your family when you decided to enter this trade? Yes, definitely. Like you said, all parents will want their children to become lawyers and doctors. Their main concern is almost always money and whether we’ll be able to make enough to make ends meet, whether we’ll make enough for building a family, education and savings. Pet peeves in the business! Like I mentioned just now, succulents and cacti do not belong in a terrarium because they prefer dryer conditions. It is almost a complete guarantee that they will die if placed in a terrarium. 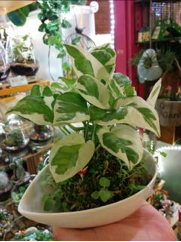 I’ve heard from my customers that there are currently quite a number of small companies that, for aesthetic reasons, use these plants for terrariums and sell them to customers. I don’t think that’s honest and I don’t like that. You’re your own boss when you have your own company so I don’t need to answer to anyone. I get to make my own decisions. What do you think is your strongest selling point as a company? We value our customers as people and we make it a point to establish and maintain good relations with them. We also provide after-sales services such as answering queries about plant care. So we don’t leave customers hanging or in the dark on how to take care of the terrarium they’ve bought just because we’ve already made our sales. We also pride ourselves in being very ethical. 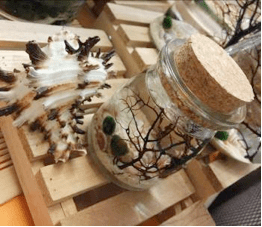 We only sell things that we are sure will thrive in the terrariums and that we’d want to buy so that we give the best value to our customers. Any advice for fellow enthusiasts? Never put a succulent in a terrarium. Ever. Okay, okay. It’s always good to be hands-on and to try out new plants. You might be afraid of killing them but that’s all part of the learning process. I mean, I used to buy plants that weren’t native to Singapore and they’d keep dying but after a while, I got the hang of how to grow them. How about advice for people who are interested into getting into the horticulture business? Be ethical. Be honest. Know and understand the needs of your plants and customers. Random question of the day! 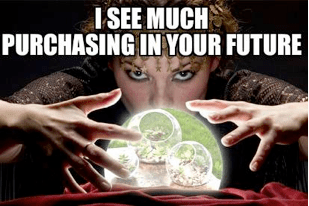 Do you believe that keeping customers happy is important? It would make me really happy if I can get free stuff. Can I get free stuff? Really? 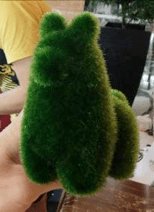 Not even this llama? Uhhh…what about this wind chime? Can’t blame a guy for trying, can you? Any last words for our readers? Come down to Orchard Central Basement 2 and visit our pushcart! Get yourself and indoor garden for yourself and your friends, and spread the joy of gardening! Well, that marked the end of the interview and he had to go attend to a group of customers. 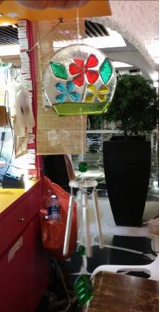 I really liked the wind chime so I ended up buying one anyway. The llama was left forlornly among the other fuzzy animals. lol..and you forget to mention this yellow bee here stings! He will give you a nasty stare, and will not hesitate to scold you if you can’t resist the urge trying to touch his plants. Obviously he has an attitude problem. Don’t believe, try visiting his business again.